The Cook's Decameron: A Study In Taste is a book about the life in Italy, the cooking style and the recipes. The author describes very interesting details about life in the old days in Italy. 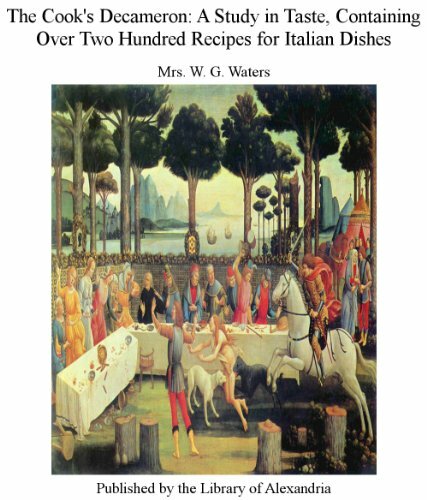 The text contains over two hundred recipes for Italian dishes. The book offers meditations not just on matters of cooking and eating, but extends to sleep, dreams, exhaustion, and even death. Brillat-Savarin proclaims that the discovery of a new dish does more for human happiness than the discovery of a star.